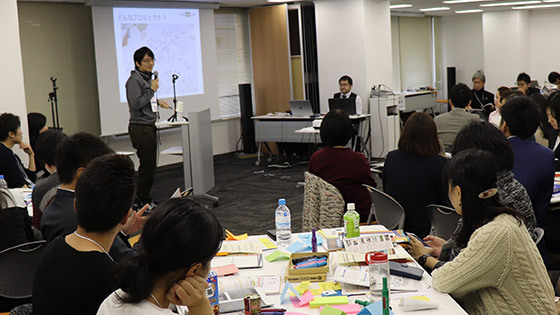 Following up on the 5th ESD Japan Youth Conference held in Nagoya in October 2018, an ESD Japan Youth Platform Meeting was held on 17 February, 2019, in Tokyo to share the progress of the collaborative projects developed by the youth participants. 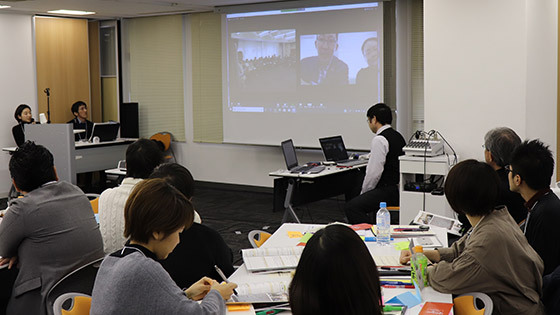 Some 60 participants, including the participants in the 5th ESD Japan Youth Conference, alumni from the past youth conferences, mentors who have supported youth members, and fellow ESD experts, were present at the meeting, while some other participants joined the meeting via a video conferencing system. 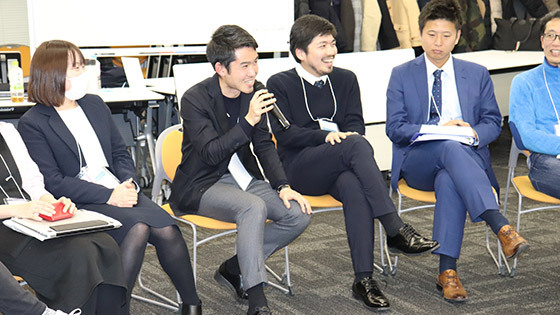 They were able to freely exchange their views in order to further develop and vitalize ESD Japan Youth as a community of young practitioners. 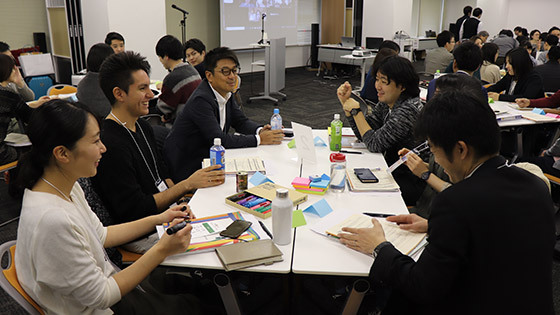 In small groups, the participants shared their individual projects. 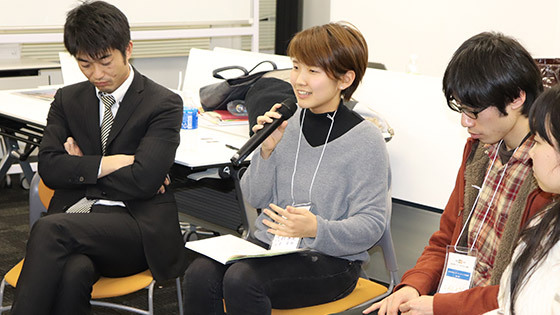 Then, some of the youth members gave presentations to everyone on the progress of their ‘collaborative projects,’ and received feedback from the other participants, including the mentors—a process known as public mentoring. 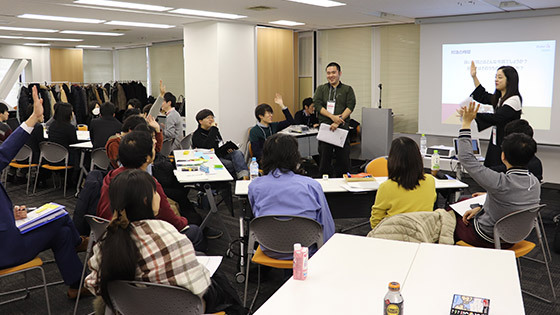 After lunch, seven volunteers organized peer-learning workshops on four different topics. Each participant joined one of the four workshops for a time of meaningful dialogue and learning. Let’s talk about citizenship! What makes a ‘good’ citizen? After the peer leaning workshops, the participants split into four groups for a storytelling session. 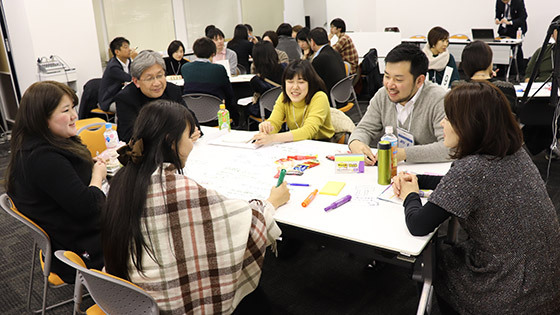 Each of the participants shared his or her own unique story, such as how they first became involved in ESD, and they discussed their activities as related to the main topic: “What activities are you are focusing on to create a better future?” Through the session, the members of each group deepened their mutual understanding and strengthened their connections with one another. 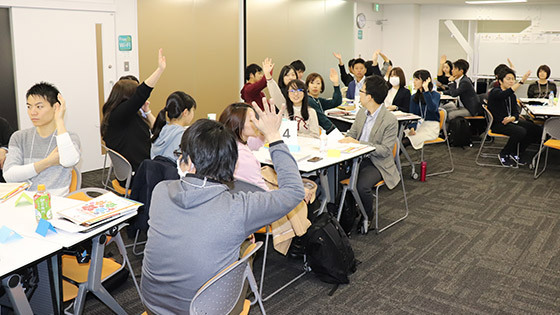 Toward the end of the program, an open space was held in which participants voluntarily proposed topics and project plans that they would like to discuss with others to help them in their future work. The following nine topics were raised. What is a true career education? 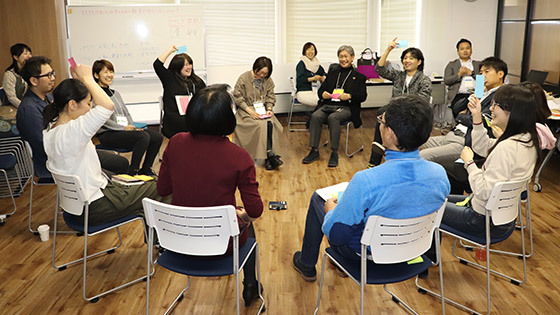 Why is peace education in Japan centered around victims of the Second World War? Why aren’t high school students in Japan staging protests against climate change? 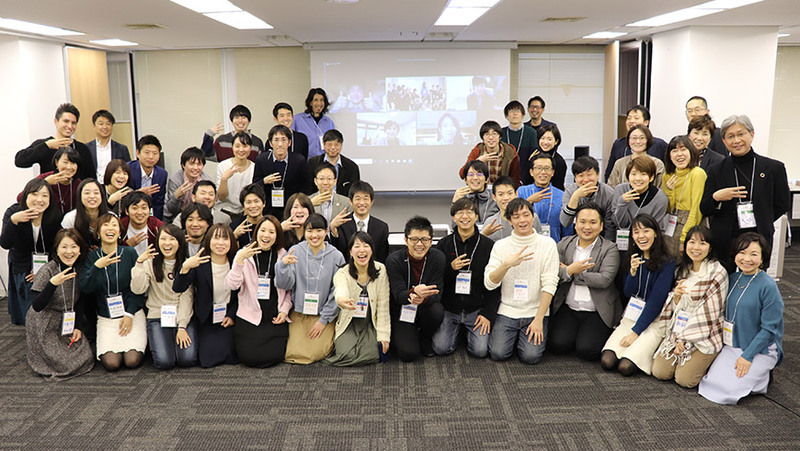 At the close of the conference, all the participants shared what they learned at the meeting and discussed their future plans with their like-minded peers. 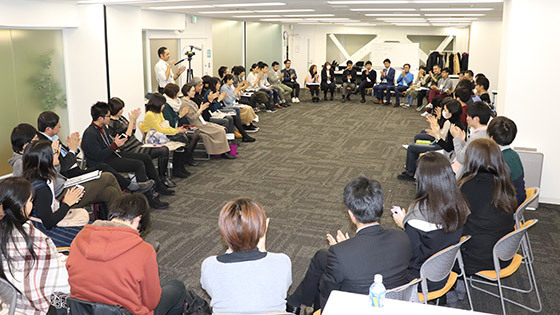 The meeting enabled ESD experts from various age groups and fields to meet and interact with each other, and to gain new knowledge and ideas about their next steps, all in an atmosphere full of positive energy and passion.